On the 50th day, the controlling game reportedly instructs youngsters to commit suicide. 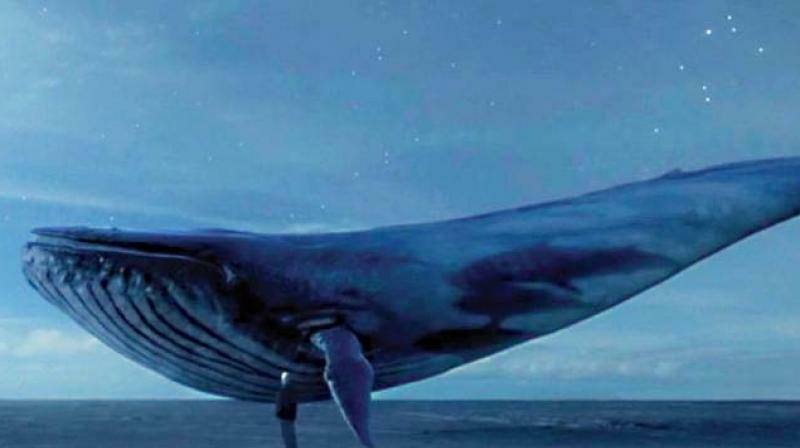 A sick suicide internet game called 'Blue Whale' that is being probed by Russian cops after being linked to 130 teen deaths. Bengaluru: A sick suicide internet game called 'Blue Whale' that is being probed by Russian cops after being linked to 130 teen deaths and its copy cat, A Silent House and Wake Me Up at 2.40 am, which reportedly challenge participants to kill themselves as part of the tasks given, are giving city schools here the jitters. Most concerned are residential schools that have a good sprinkling of foreign students. Fears have been raised that the sinister game is just the tip of the iceberg not just in Russia, - which has one of the highest suicide rates in the world - but here in Bengaluru which has the second highest suicide rate after Delhi. The faculty of these city schools say they have blocked their students access to Internet games on campuses, especially in hostels, where students cannot be monitored round- the -clock. Blue Whale involves teens completing tasks every day for 50 days including self-harming, watching horror movies and waking up at unusual hours. Mental health professionals and activists are calling for a probe to ascertain the reasons youngsters are attracted to these games. Russia saw 24,982 suicides in 2014. Said a principal of a residential school near Electronic City, "Many of our students have access to Internet and gadgets for a few hours in the hostels as their parents live abroad. But since news of these games spread, we have become very alert and have banned our students from playing games on social media." Added a faculty member of the school, " For the past two or three days we have been getting frequent calls from parents asking if their children are playing games on social media. Thankfully, as we have strictly banned them, no student is playing them. But we are being watchful." Ms. Nooraine Fazal of Inventure Academy said," I don't believe any of our kids are playing them, thankfully!" Said general secretary of the Karnataka Associated Managements of English Medium Schools (KAMS), D Shashikumar, "All Internet games have been banned for students both on campus and in their homes as they are believed to make them violent and suicidal. We are expecting the government to do something about these games on social media. It should come out with guidelines."